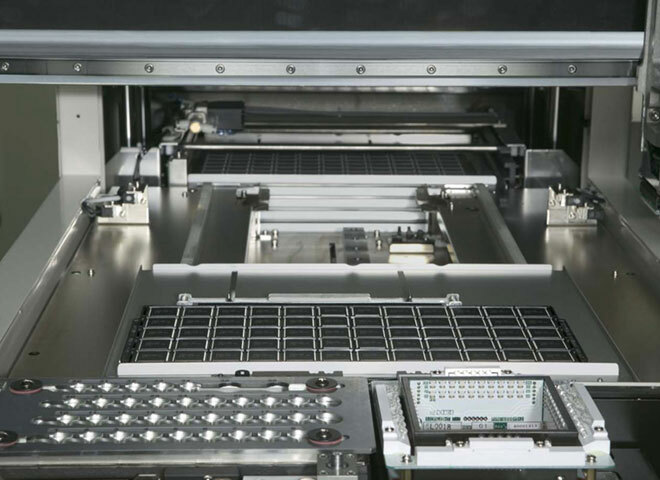 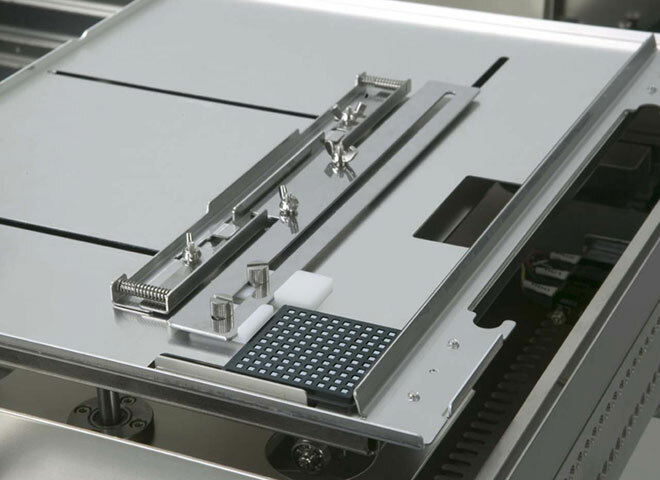 Our family of Matrix Tray Modules will enlarge the productivity and flexibility of your assembly line. 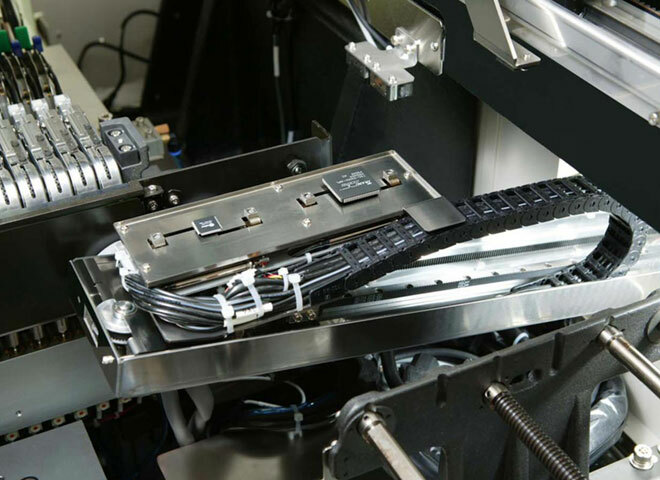 Our modular product line can be matched to your exact requirements. 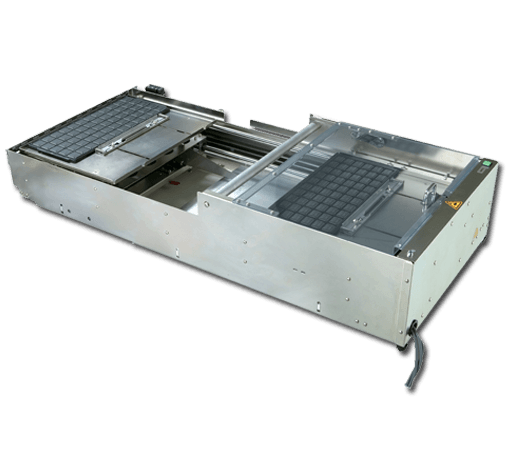 This provides optimum combination of productivity, flexibility and reliability with the Lowest Cost of Ownership. 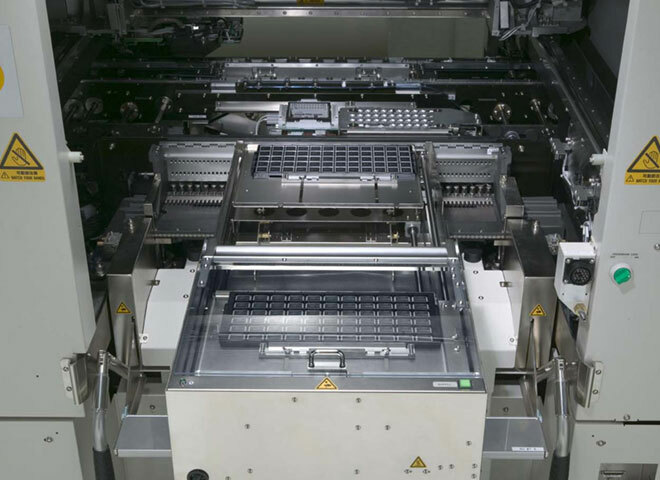 This option allows the operator to replace empty trays while the machine continues to run without impacting production.